Authentic 12-LED red displays. Same style as our K200 series. A much desirable accessory for your KITT or KARR conversion. Or add the Knight Rider nostalgia look to any vehicle, without doing a full conversion. 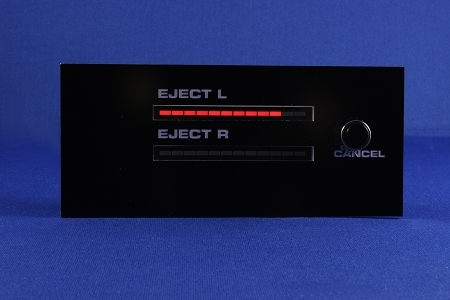 LEDs light up until desired eject force is set. 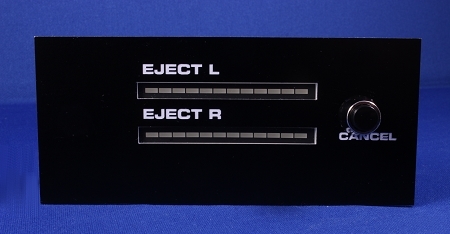 Clear the display with the CANCEL button between the two rows of LEDs. NEW! Now features tone sounds. See and hear the unit in the demonstration video below. Operates from any 12VDC supply. Actually works from 7 to 15 VDC. Engraved overlay included, as shown. Compact design: 3.5" x 1.5" (90mm x 38mm) (printed circuit board assembly) With overlay: 4.75" x 2" (120mm x 53mm). 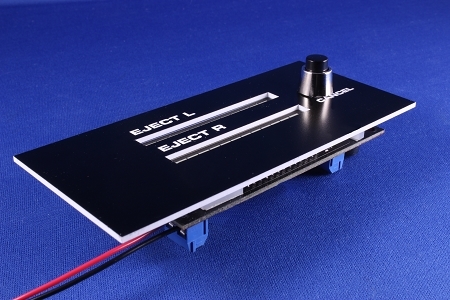 Copyright Jupiter Electronics. All Rights Reserved. eCommerce Software by 3dcart.